Co-active coaching is a unique alliance in which coach and client work together as equals to meet the needs of the client. A coach helps you find clarity and direction in your life and supports you in a non-judgmental way to take actions needed to reach your goals. 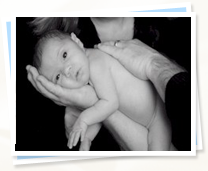 What Is the Empowered Birth Method™? The Empowered Birth Method focuses on positive outcomes for each individual in creating what she wants for her pregnancy and birth experience. The client will obtain the support, information, and clarity needed to have the best experience possible. With the support of her coach she will gain the confidence necessary to transform her experience into what it should truly be; the most empowering time of her life! 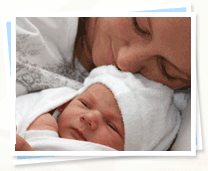 What Are The Benefits Of the Empowered Birth Method™? Get support where ever you are in your experience. Gain clarity about the type of birth experience you want to have. Create a birth plan that is right for you. Get resources to move you forward in decision making. Set goals and gain support in reaching them. Gain confidence in your ability to give birth. You want to educate yourself as to all your options and make informed decisions. You want to understand the birthing process and feel good about it. You want to play an active role in the decision making process and not feel helpless. You want to take responsibility for the type of birth experience you will have. You want to create a positive environment for your birth experience to occur. You want your experience to be unique and powerful in its own right. You want this to be the most empowering experience of your life! Coaching groups meet once a week for 8 weeks. Each week you will participate in discussions, assignments and fun activities. Participation is completely voluntary and you will get out as much as you put in. At times you will be challenged but always in a supportive, loving way. While the group focuses on a common goal; to have the best possible pregnancy and birth experience, the way in which those goals are met may be different for each individual. With that in mind, the groups are designed to meet the specific needs of each participant. For those who prefer one-to-one sessions, individual coaching is also available. Individual coaching occurs either in person or more commonly by phone. There are typically 3 sessions per month lasting 45 minutes each. However, this is flexible and can be designed jointly with coach and client when necessary. There is also unlimited email contact in between sessions. Individual coaching may be more suitable for those who have specific needs they would like to address, or for those who are limited by time constraints or geographical location. Group coaching varies depending on the program. Individual coaching is $350 per month with a 3 month suggested minimum. Ask about the referral program and other discounts. Doula originates from the greek work “servant”. A Doula, also known as a labor assistant, provides continuous care for the laboring woman and her partner, and help them participate fully in their experience by offering physical and emotional support and information about the birth process. A Doula typically meets with the woman or couple prenatally, accompanies them throughout the labor and birth, and does a follow-up visit during the postpartum period. Statistics from: Mothering the Mother by M. Klaus, J. Kennell, and P. Klaus. Addison Wesley Publishing, 1993. Do I Need a Doula If I’m Giving Birth In a Hospital? Yes. It is especially important to have support in a hospital setting. Nurses are busy and cannot provide continuous, personalized care to the laboring couple. A Doula is there specifically for the couple and can advocate on behalf of them if necessary. Do I Need a Doula Even If I’m Giving Birth at Home or in a Birth Center ? Yes, everyone can benefit from a Doula. Midwives and Birth Assistants have important work to do and don’t always have the time or ability to tend to all the needs of a laboring woman and her partner. A Doula can help with that. 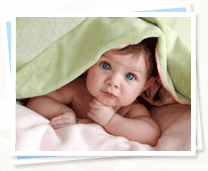 She can assist with duties that will enable the Midwife and Assistants to do their jobs best. The Doula can provide ongoing attention and care to the laboring couple. Further, if there is need to transport to a hospital, the Doula will be there to support you in such an unexpected situation. 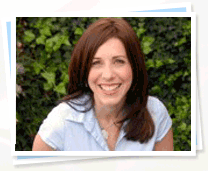 She can communicate with the medical staff and advocate on your behalf. How Do I Choose The Right Doula? Doulas vary by personality, training, experience, and professionalism. You should interview Doulas before making your selection. You might want to ask them about their birth philosophy, their training, experience, fees, backup care, and what is included with their services. You may also want to get references. The Doula should be flexible and be willing to meet YOUR needs. It’s best to know up front what to expect and not find out after the fact. You should feel comfortable with your choice in a Doula. Doula fees are $1,000. Special rates apply if combined with Childbirth Classes and/or Life Coaching services**. Doula fees include 1-3 prenatal visits, as necessary, continuous support throughout the entire labor and birth, 1 to 2 hours of support after the baby is born, 1 postpartum visit to your house. Personalized care is given, including but not limited to: assistance with birth plan, relaxation and visualization techniques, massage, labor and birth positions, nutrition & exercise, life coaching, encouragement, and 24 hour phone and email assistance with questions and other matters. How Much Do Childbirth Classes Cost? The 4 session series which comprehensively covers 12 weeks of information and is done privately costs $450. The one session 4 hour class is an overview or can be used as a refresher and is $150. Semi-private classes also available. Please inquire. **A single Childbirth Classe alone is $150, Pregnancy Coaching is $500 for the program, and Doula services are $1,000. Birth Classes and Doula fees will be $1,100 total. For the Pregnancy Coaching Program, Childbirth Classes and Doula services, fees will be $ 1,500 total (an exceptional value). Other options are available, please inquire.